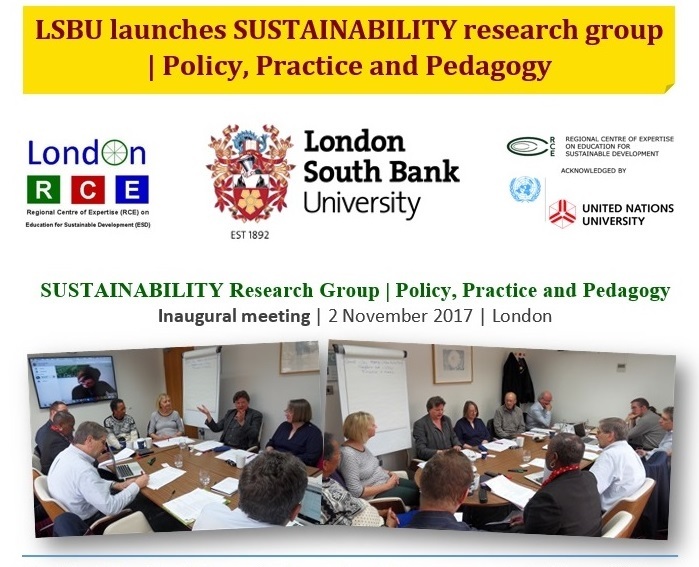 In the first week of April, the Sustainability Research Group: Policy, Practice, Pedagogy at London South Bank University, UK held its third Round Table evening in its series of events to present and debate research on the UN’s Sustainable Development Goals (SDGs) that is undertaken by its members. Prof Ros Wade gave a warm welcome to the audience whilst offering a brief summary of the work of the Sustainability Research Group. The Round Table was ably chaired by Ms. Lynn Vickery who introduced the topic for the evening’s event. Lynn then presented the panellists who were invited to respond to the research presented by Dr. Alex Mifsud. The rich and diverse backgrounds of the three panellists augured well for a healthy debate. These were: Ms. Emily Auckland, Network Director at UK Stakeholders for Sustainable Development (UKSSD); Dr. Jenneth Parker, Research Director at the Schumacher Institute; and Mr. Graham Petersen, secretary of the Greener Jobs Alliance. By means of her presentation, Is Brexit Side-lining the Sustainable Development Goals, Alex offered the audience a brief backgound to the approach adopted by the European Union in assisting its Member States in their implementation of the SDGs. She gave an overview of the various policies, financial and legal instruments of the EU that support each of the 17 SDGs. 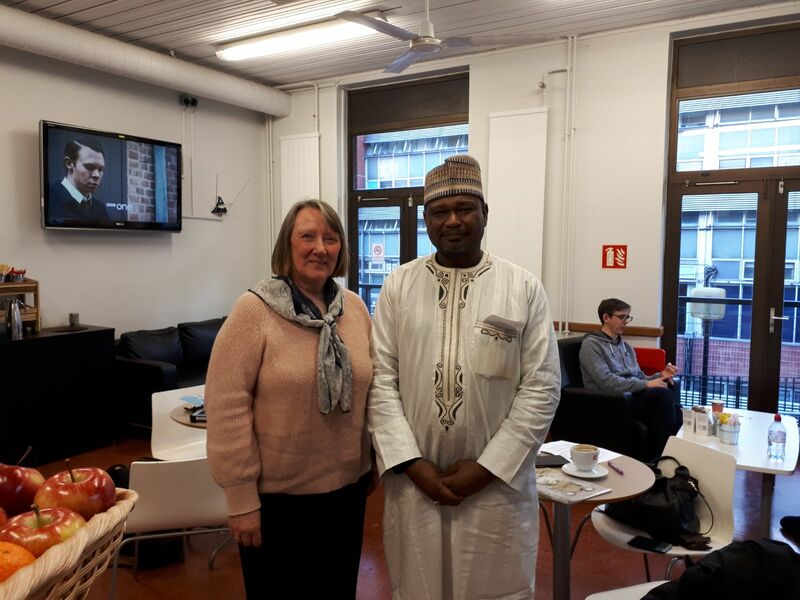 This was followed by a summary of the UK’s approach to the implementation of the SDGs, a role that has been assigned to the Department of International Development (DFID) wherby a shift in the political narrative was noted as a result of the ongoing Brexit uncertainty. Alex listed the preliminary findings of the research which highlight a lack of visibility, awareness and understanding of the SDGs with Brexit obscuring the obligations of the UK to implement the SDGs as well as reducing the ability of all stakeholders and government to address the issues pertaining to the SDGs. Alex also spoke of the findings that show concerns about the loss of the EU legal framework on standards and policies that could serve as a key platform for UK to implement the SDGs. However, Alex mentioned the significant hope pinned to the fact that the SDGs could serve as a replacement to the legal and policy guarantees UK will lose as a result of exiting the EU. Research also uncovered the pressing sense of panic from all sectors across the UK of the risks and damage from a no deal Brexit and hence ended her presentation on a positive by emphasising the need for stakeholders and individuals to use the SDGs as a springboard for positive and constructive action in the midst of the political and economic uncertainy poised by Brexit. Indeed, can the SDG’s be seen as a key framework to be used across UK organisations to help guide the post Brexit decision making? Lynn invited Emily to offer her views on the topic who expressed her belief that broadly speaking, the UK is not very good at coherence and systems thinking which explains why the country is not putting policies in place for the implementation of the SDGs. Emily also emphasised the need for stakeholders to fill this void by engaging more actively with the SDGs. Graham informed those present that the international trade unions have made SDGs a priority which is encouraging. He also spoke about the concerns that Brexit could potentially see a reduction in employment laws and workers’ rights since the UK would be free to amend or even water down the rights and standards currently enjoyed by virtue of EU membership. Jenneth spoke about the importance of systems thinking within the Brexit and SDGs context particularly since in her view, the UK is actively hostile to the SDGs due to its governance. She spoke of how Brexit is part of a wider agenda that aims to undermine the very values we hold so dear and which are reflected in the 17 SDGs by the United Nations. A healthy and lively debate ensued with members of the audience touching upon how or whether the SDGs are interlinked to wealth management, climate emergency and labour conditions in some parts of Africa and India. Informal discussions over some light refreshments brought the Round Table event to an end. London South Bank University’s Sustainability Research Group of the Centre for Social Justice and Global Responsibility in association with the London Regional Centre of Expertise (RCE) on Education for Sustainable Development (ESD) will host a panel discussion on Sustainable Development Goals (SDGs) at the university (Room DC12/13 in the Clarence Centre) on Thursday 28 June 2018 from 5 to 6.30pm. The group will develop and promote research and action on sustainability as a new and emerging interdisciplinary area, drawing from the social sciences as well as other disciplinary landscapes in order to address the complex, real-world wicked problems of today, such as climate change, global inequality, forced migration, biodiversity loss, social and environmental justice. Framed within the context of UN Sustainable Development Goals (SDGs) and UNESCO’s Global Action Plan (GAP), the group’s work will be linked to the Centre for Social Justice and Global Responsibility at LSBU’s School of Law and Social Sciences. 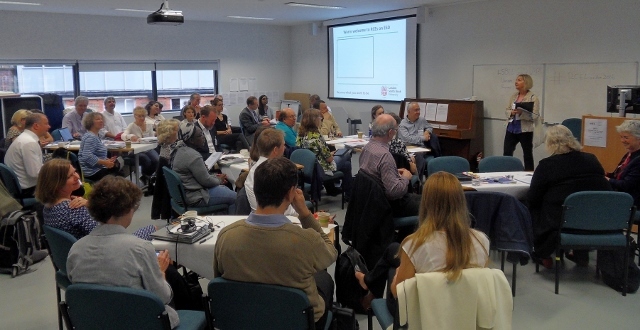 Building on the work of the London Regional Centre of Expertise (RCE) on Education for Sustainable Development (ESD), which is hosted at LSBU, the group will also link with the wider global RCE network of the UN University and UNESCO networks. In June 2009, London became the first capital city in Europe to become an RCE. 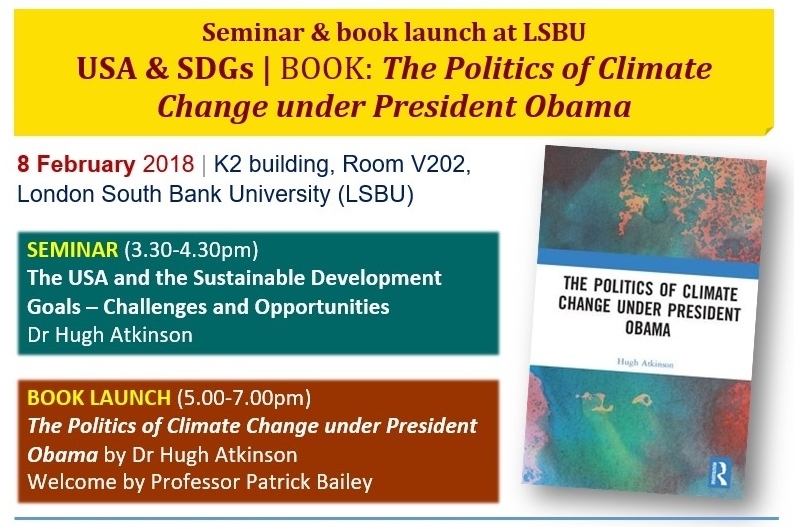 Hosted at LSBU, the London Regional Centre of Expertise (RCE) on Education for Sustainable Development (ESD) is a learning community of practice and offers expertise on a range of ESD approaches developed by the London RCE partners and stakeholders for the benefit of Londoners and other places that experience the particular challenges that living in a global city brings. Particular issues include inequality of housing, air quality, employment and green space.